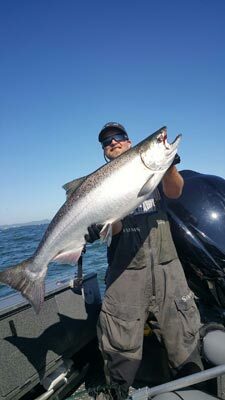 Spring Chinook are the most highly sought after fish on the West Coast. They are not known for their size, but they are pound for pound the hardest fighters! This is a Northwest tradition and I would like you to come be a part of it! Spring Kings can range from 8lbs. to 35lbs. with 15lbs. to 20lbs. being the average. These amazing species spend two to four years in the salt of the ocean before returning to their home rivers. Spring Kings only return to glacially fed streams. These kings begin trickling in late January, early February with the run peaking in April and May, depending on the season. Unlike their fall cousins, these fish do not spawn until late summer or early fall due to their genetics and overload of omega fats they have stored to get them through their long journey into the fall. These Spring Kings are without a doubt the best tasting Salmon you will ever catch! The Willamette River feeds a wide selection of tributaries and it takes an expert to know where, when, and how to catch the salmon that run it. 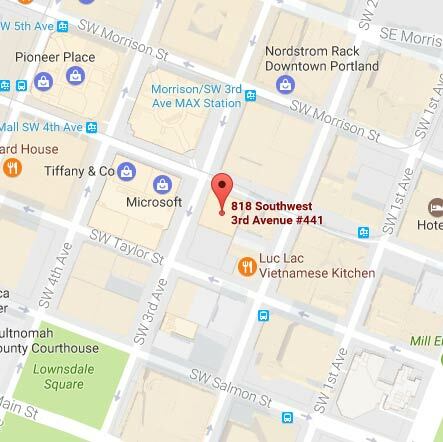 You can spend a lifetime learning the best methods for Willamette River salmon fishing, or you can hire an experienced local WA & OR salmon fishing guide service. We are Fish Hunters Guide Service and we will provide you with the best opportunity to catch the best salmon the Willamette has to offer. Your passport to incredible salmon fishing all starts with a qualified guide. What qualifications should you look for in a WA & OR Willamette River fishing guide? It’s not enough to study the charts or be local. It takes passion, dedication, and a desire to provide you with the best fishing experience available. That’s what fuels Travis Coquette. He’s fished the river proper and tributaries of the Willamette for decades. His skills don’t end with his topographical knowledge however. As your Oregon and Washington fishing guide, Travis makes custom preparations for every trip. He doesn’t just know the Willamette River, he knows how to adapt his methods for the different salmon species it contains. They have different traits and Travis capitalizes on these. You’ll enjoy every benefit our salmon fishing guide company has to offer, and those start long before we cast off. Contact us to schedule your Willamette River salmon fishing trip today. It just takes a phone call to book a WA & OR guided salmon fishing trip you’ll remember forever. We love what we do, and making sure your trip brings out that same enthusiasm, love for the sport, and challenge you’re looking for is our only goal. Enjoy salmon fishing the way you want. Call or contact or contact us today to schedule with our Willamette River salmon fishing guide service today.